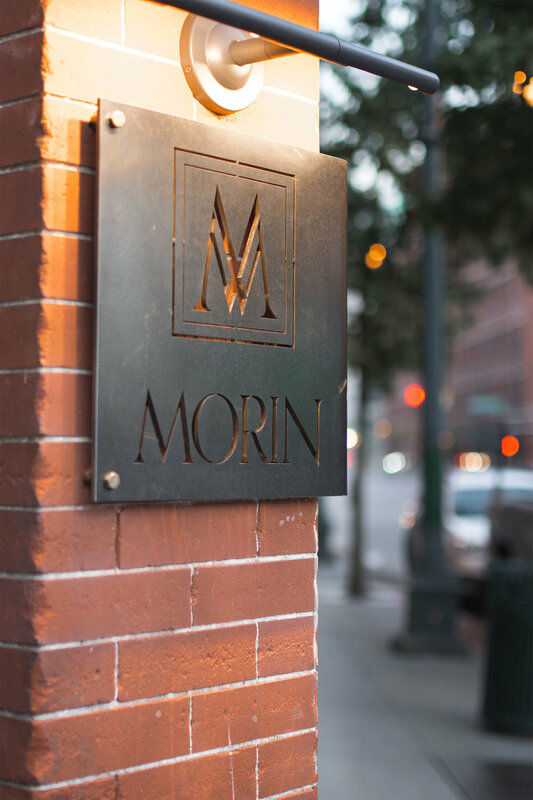 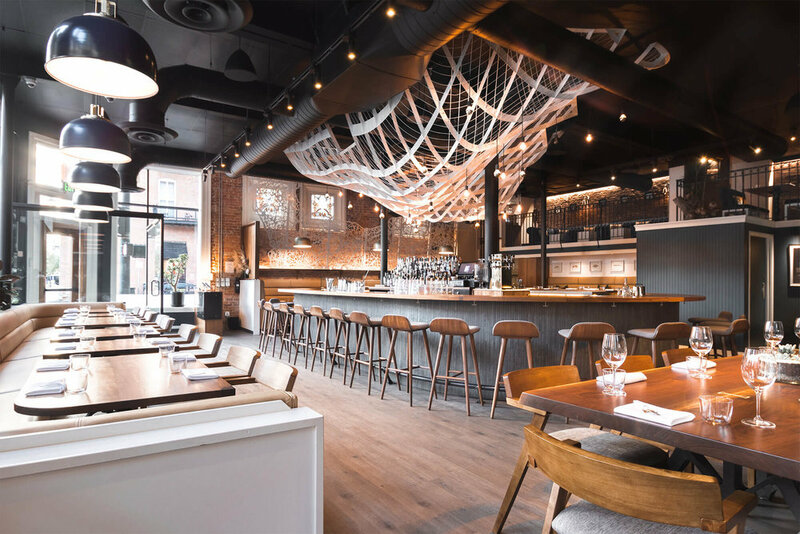 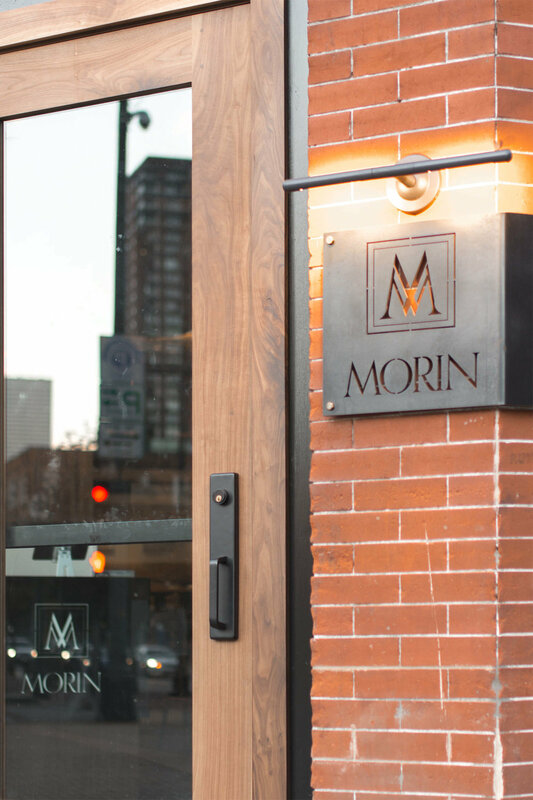 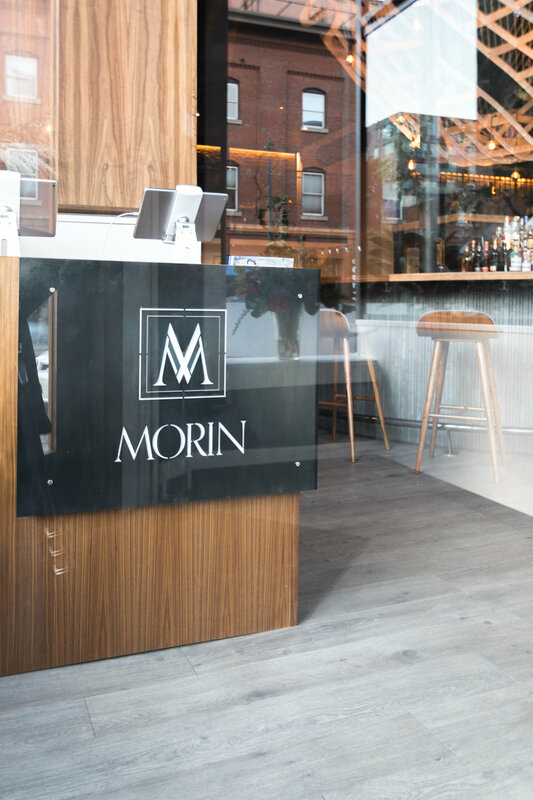 Morin is a new restaurant serving contemporary French cuisine in downtown Denver. 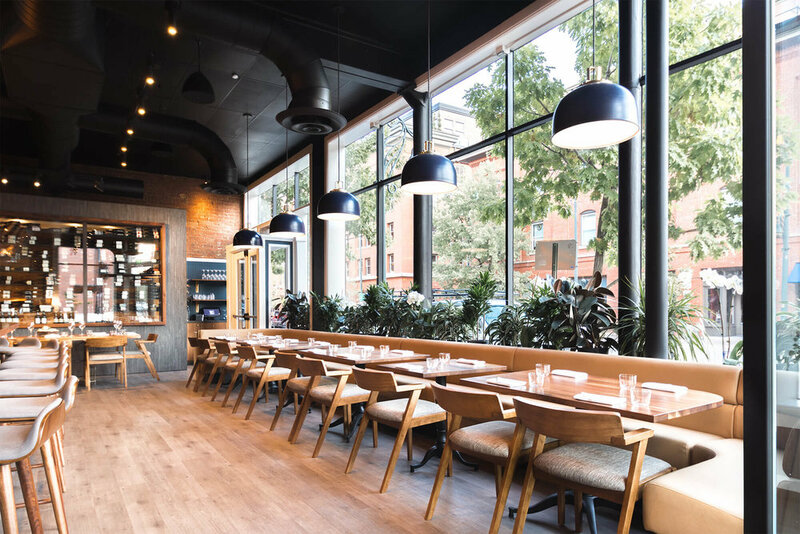 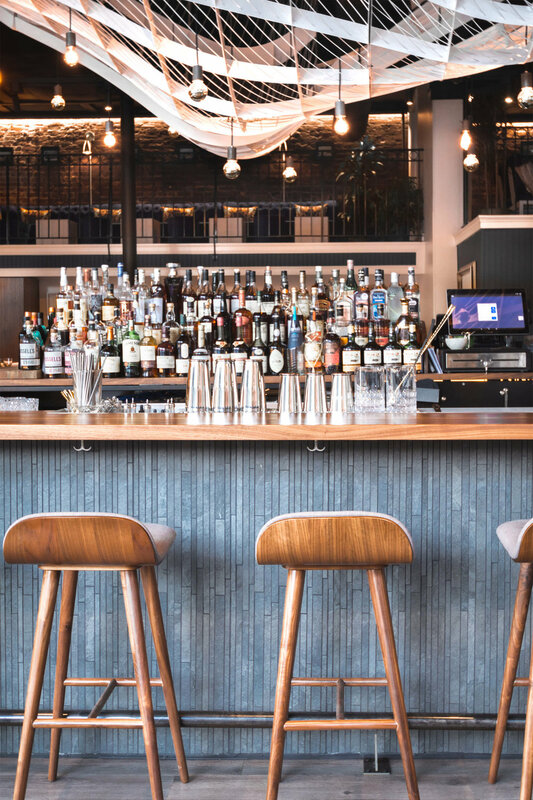 As a long-standing fixture of downtown Denver’s history, the renovation of the former Wazee Supper Club, built in the late 1800’s, required us to strike a delicate balance between honoring the building’s historical significance and breathing a renewed purpose into the space. 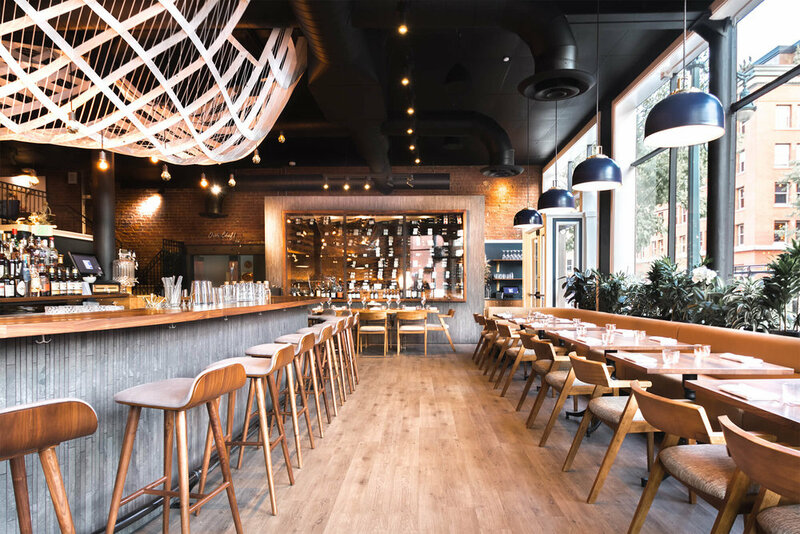 Original brick, stained-glass windows, and tile were restored and exposed in order to honor the life and story of some of the building’s historic element while creating simple backdrop for the addition of some more modern and contemporary additions.